A connected home, sometimes also called a smart home, puts computer network technology to use for the added convenience and safety of families. Home automation enthusiasts have experimented with connected home gadgets for many years. Today, there are many new smart products that homeowners are interested in since these technologies keep evolving and become easier to use. Modern connected home devices use wireless network protocols to communicate with each other. Traditional wireless home automation devices were designed to operate on mesh networks using special protocols like Z-Wave and Zigbee. Many connected homes, though, also have Wi-Fi home networks and integrate these other devices with it (a process called bridging). Mobile phone/tablet apps are commonly used to remotely control connected home gadgets through the home network. Via electronic sensors, connected homes are capable of monitoring environmental conditions including lighting, temperature and motion. Control functions of connected homes include manipulating electromagnetic switches and valves. The most basic application of traditional home automation is lighting control. Smart dimmer switches (not to be confused with network switches) allow the brightness of electric bulbs to be remotely adjusted up or down, and also switched off or on, either on-demand or via a preset timer. Both indoor and outdoor light control systems exist. They offer homeowners a combination of physical comfort, security and potential energy saving benefits. 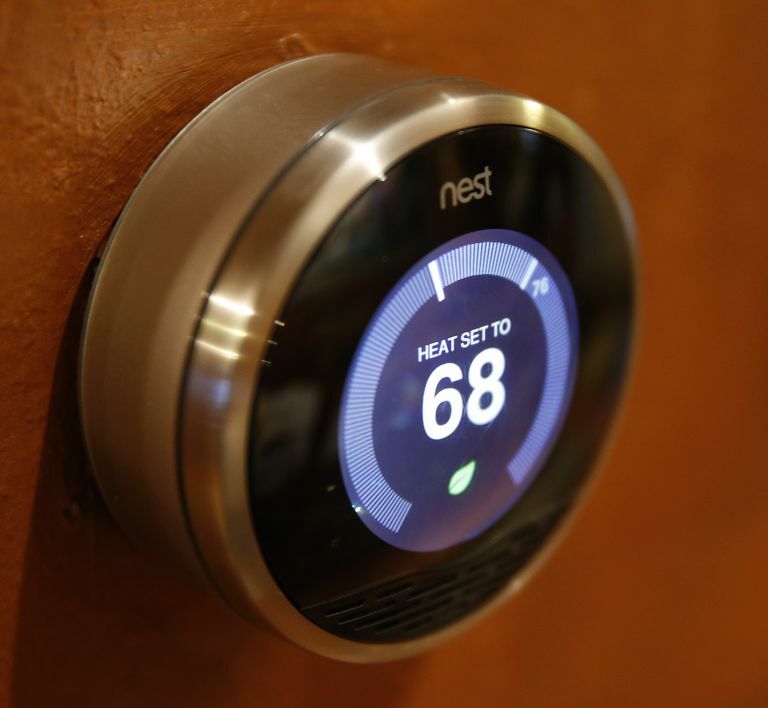 Smart thermostats control home heating, ventilation and air conditioning (HVAC) systems. These devices can be programmed to change home temperatures at different times of day in night to help save energy and maximize comfort. Several kinds of connected home products have home security applications. Smart door locks and garage door controllers can be checked remotely and also send alert messages via the cloud doors when doors are opened. Some controllers can support remote unlocking or re-locking, useful in situations such as when kids arrive home from school. Smart alarms that detect smoke or carbon monoxide can also be configured to send remote alerts. Video surveillance systems include indoor and/or outdoor digital cameras that stream video to home servers and remote clients. Internet refrigerators incorporate wireless (often RFID) sensors that track the quantity of produce inside it. These smart refrigerators use built-in Wi-Fi for communicating data. Wi-Fi scales take measurements of a person’s weight and send them to the cloud via a Wi-Fi home network. Smart watering (“sprinkler”) controllers manage the schedule for watering lawns and plants. Homeowners on vacation, for example, can remotely change the watering schedule for a smart sprinkler to adjust for changing weather forecasts. Motion sensors integrated with connected devices can also be used to add intelligence into home environments, such as triggering a ceiling fan to switch on when someone walks into a room or lights to switch off when someone leaves. Voice sensors and/or face detection technologies can recognize individuals and stream music according to preset individual preferences. Home automation and connected home technology historically has involved many different wireless and network communication standards. Consumers sometimes cannot mix-and-match products from different vendors and have all of their features work correctly together. It can also require significant extra effort to learn the necessary technical details of each type to configure and integrate them into the home network. In some parts of the world, public utility companies have been replacing old home utility meters with smart meters. A smart meter takes periodic readings of a household’s electric and/or water consumption and transmits that data back to the utility company offices. Some consumers have objected to this detailed level of monitoring of their energy consumption habits and feel it encroaches on their privacy. The cost of establishing a connected home can grow quite high as a diverse mix of gadgets is required to support all of its various features. Families may have difficulty justifying the cost for what they might consider to be luxuries. Although households can manage their budgets by growing their connected home gradually, it will support lesser functionality accordingly.